Khan Academy is looking for a passionate analyst to help change education – join us on our mission to provide a free, world-class education for anyone, anywhere. We’re fun, quirky people at heart that come from a variety of backgrounds. Our team includes industry leaders from Google, Apple, Facebook, Microsoft, Pixar, Fog Creek, and tiny start-ups, as well as people with non-traditional backgrounds who didn’t graduate from college. Together, we’re a small but elite team, deeply invested in your future. We believe that no organization will be as invested in developing you as a professional. The Efficacy & Research Analyst is responsible for supporting rigorous research– both in-house and via 3rd parties, both in the US and internationally – that will measure/assess whether and how use of our content and products helps to further academic achievement of learners and teachers. Research will cover core academic subjects and grades (early childhood, K-12, AP, early college), as well as test prep (initially through our SAT and LSAT partnerships). 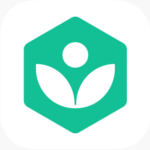 In ten years, Khan Academy’s vision is to globally enable every K-14 core subject to be either learned in conjunction with teachers and their physical classroom or independently, and the Efficacy & Research Analyst is an integral part of helping to achieve that mission by supporting with substantive, verifiable studies providing evidence of the efficacy of our content and products. Conduct analyses and collaborate in writing up findings for efficacy and research studies by using statistical programming skills with R and SQL to link multiple datasets, apply analytical models, and create visualizations to demonstrate the impact on outcomes. Conduct large-scale data extraction, for efficacy and research studies, by applying robust computational methods for transforming messy data into clean datasets for analysis in R.
Support on-site data collection efforts. Support development for research instruments (e.g., surveys, observation tools, interview protocols). Support the development of study proposals and collaborate on IRB approval or research ethics approval with school districts. PhD (or equivalent experience) with 3+ years of experience in using R to merge and clean large datasets, analyze, and produce visualizations of data. SQL knowledge/experience is a plus but not necessary, but must be willing to learn SQL. Broad and deep skills in research design, measurement, and analytical aspects of research and efficacy. A strong desire to learn our existing content and work cross-functionally with our product and content teams to research, prove, iterate, and improve our content and products. Ability to collaborate cross-functionally (with the product, content, marketing, philanthropy, and analytics teams) to execute and review research. Flexibility to problem solve creatively in a still-young digital education medium. A willingness to roll up your sleeves and help the team get work done as we are growing. The ability to work full time [from our offices in Mountain View, CA or from your home]. Actionable analyses from a wide range of data sources including: teacher and student Khan usage data, student Khan mastery data, surveys, classroom observations, and external academic achievement data. Guidance to Khan Academy’s product, content and analytics teams. Review of research performed by outside parties. Ample paid time off as needed. A fun, high-caliber team that believes in the importance of having a great day-to-day experience. Delicious catered lunch daily plus tons of snacks and beverages. Walking distance to Caltrain and downtown Mountain View, flexibility to work from other locations. The opportunity to work on high-impact software and programs that are already impacting the future of learning. The ability to improve real lives and put your talents toward a deeply meaningful mission. The possibility of helping empower more problem solvers to improve the world. Have you used R before to clean and analyze data? If yes, please describe some of the tasks you were completing and the R tools or packages you typically use. At Khan Academy, we believe that reaching all learners requires a team that is diverse in every respect, and we are looking for individuals who will help us fulfill our mission by adding to the diversity of our team’s experiences, perspectives, and mindsets. With that in mind, tell us briefly how your experiences and perspectives – whether personal, professional, academic, or otherwise – could contribute to the diversity of our team.